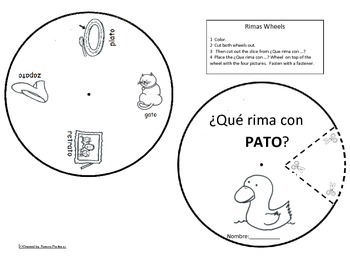 This simple rhyming words circle is easy for your students to practice rhyming in Spanish with words such as pato, gato, etc but for your Spanish/Bilingual students. 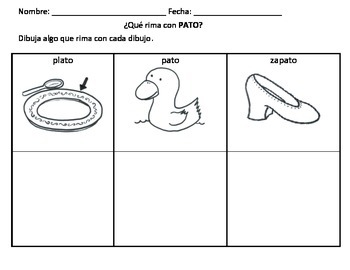 With this simple activity comes a drawing activity to check your students comprehension of this group of rhyming words. Your students can practice identifying Spanish Rimas in no time at all.